The Internet of Things has been making a lot of big promises, or at least those that make IoT products have. Different analysts and think tanks all project huge numbers of connected devices, with the average projection hovering around 20 billion devices online by 2020, but this also raises a lot of questions about the networks and infrastructure needed to support so much connectivity. Carriers are racing to be the go-to network that powers your smart thermostats and IoT-connected kitchen appliances but most recently South Korea and the Netherlands have come out as the frontrunners by launching comprehensive nationwide IoT networks. South Korea is already one of the world’s most connected countries so it comes as little surprise that it has created its own Internet of Things network. Operated by carrier SK Telecom, one of the largest in the country, the LoRaWAN network connects all smart devices and allows them to ‘talk’ to each other. The commercial IoT network is available for consumers at 100MB for 2,000 won ($1.75) a month. The low prices, the telco hopes, will encourage a wider uptake of the network so it can grow. The carrier claims the network will reach 99% of the population. South Korea already has an internet penetration of around 85%. On its announcement, SK Telecom’s president of mobile network business Lee Hyung-hee said the corporation will be seeking partnerships with start-ups to “vitalize the IoT ecosystem”. To that end, SK Telecom is setting up the Partner Hub Program and IoT Open Test Bed at one of its campuses where it will work with start-ups on developing, mentoring and testing new IoT services. This all fits into SK Telecom’s vision for even greater connectivity in South Korea. Its government and telecoms have been well ahead of the curve when it comes to connectivity, investing hugely in the infrastructure for the future. KT, a SK telecom rival, is hot on its heels with its own network that uses LTE-M for transmitting small amounts of data from devices, which the telco calls the Internet of Small Things (IoST). The company has four million devices pencilled in to be operating on its network by 2018. SK continues to roll out 5G with Ericsson while LG is working with the Ministry of Science, ICT and Future Planning to build a smart city in Goyang, a smaller city north of Seoul. In Europe the Netherlands is leading the charge with the launch of a similar LoRa network to connect smaller devices like sensors. The network is helmed by Dutch telco KPN and is now available across the country after initial tests in The Hague and Rotterdam. The telco added in its announcement that there are already 1.5 million devices connected to the network with more to join imminently now that the network is live nationwide. There is sufficient market demand that will make the network, says KPN COO Joost Farwerck. Applications of the network are already being tested in busy locations, like at Schiphol Airport with baggage handling, and at the port of Rotterdam where sensors are being connected to depth sounders. The Netherlands has form when it comes to the Internet of Things. Amsterdam has been a leader in Europe for smart city technology. Amsterdam Smart City for example is an initiative that brings together companies and universities to develop, test and deploy smart sensors around Amsterdam to improve how the city runs. Projects include smart street lighting and reinventing traffic management systems. 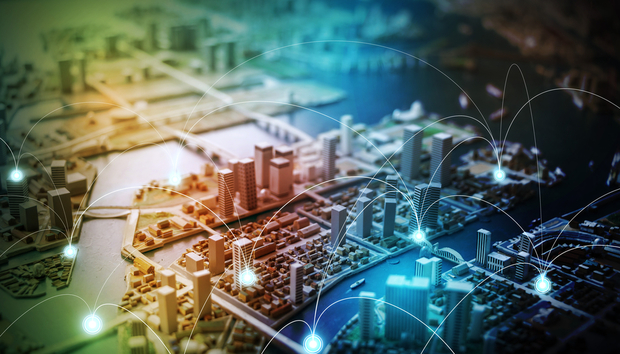 South Korea and the Netherlands mark the first cases of a fully operational IoT network but several other countries and cities are inching forward with their own networks in collaboration with corporates. In Finland, Sigfox is working with Finnish IoT advocacy group Connected Finland to deploy a national LPWAN network within the next year and plans to cover around 85% of the country by this time in 2017. According to Rodolphe Baronnet-Frugès, Sigfox’s executive vice president of networks and operators, the country’s economy and relatively fast adoption rates for new technologies means that Finland could become a European leader for the Internet of Things. Sigfox has been keen to roll out its IoT networks around Europe. In the Czech Republic, it is working with T-Mobile to deploy 350 Internet of Things base stations for transmitting data around the country by the end of 2016. The French company has been investing in cities globally too, deploying networks in Singapore and Mexico City too and doing so with local start-ups and organisations like IotNet Mexico and UnaBiz from Singapore. The Center for Data Innovation, a US think tank for digital policy, published a report in late 2015 [PDF] that called on national governments to be more accommodating to the development of the Internet of Things. It recommended that it was time for governments to put strategies in place to prepare for the future of connected devices and to loosen regulations around IoT. It is the private sector, companies like SK Telecom and Sigfox, that are making this push towards the IoT a reality but they will need the support of governments to make country-wide networks such as those in South Korea and the Netherlands possible across the board.